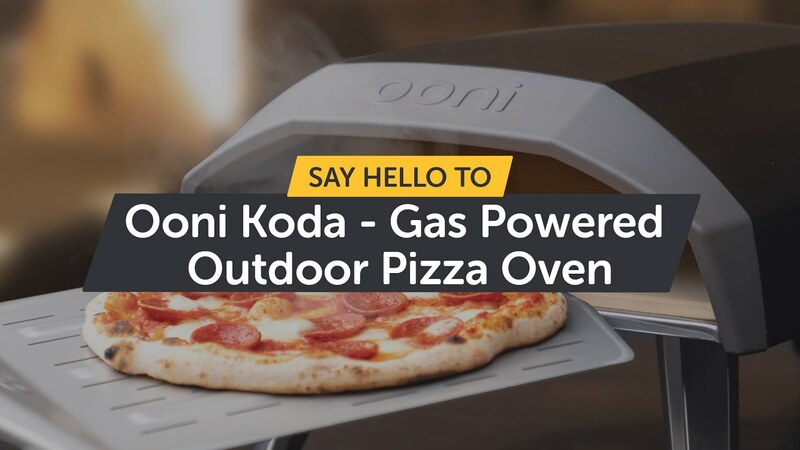 The Ooni Koda Starter Bundle has everything you need to start cooking incredible pizza in your own garden – or wherever the pizza party is happening – right away. With this great value bundle, you are ready to start cooking with gas immediately! Valued at £328.50, this bundle is on offer for the price of £325. Ooni Koda: ready right out of the box, the super compact Ooni Koda is good to go in seconds. Simply flip open the foldable legs, insert the stone baking board, and connect to a gas tank. Ooni 12" Classic Pizza Peel: your go-to tool for launching and retrieving pizzas with ease. Ooni Koda Carry Cover: protect your Ooni Koda from the elements and take it on the go with our 100% waterproof, 2-in-1 carry cover. Ooni Infrared Thermometer: use the laser pointer to instantly measure the surface temperature of your oven’s stone baking board. UK orders are normally shipped with next business day delivery if your order is placed before 11am.